Michael Moore is here to make everyone mad again with his usual brand of being as subtle as a two-by-four to the face. 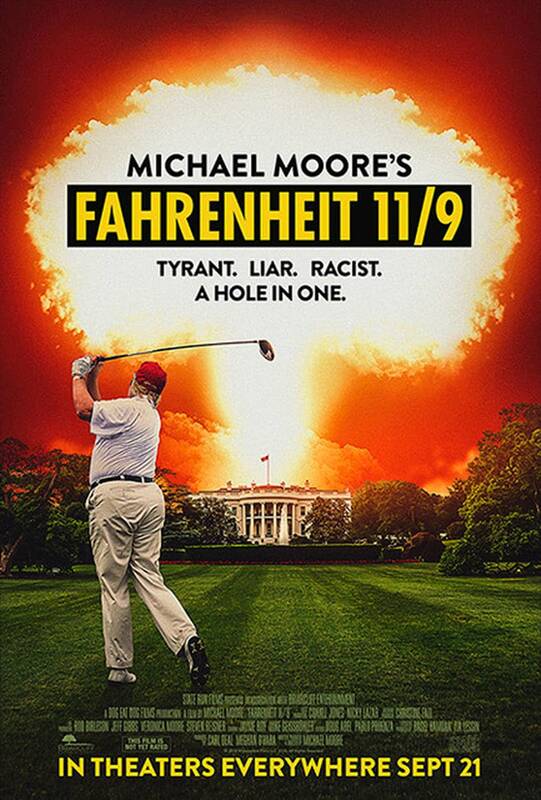 The Hollywood Reporter has released the first poster for Moore’s new film on the Trump presidency called Fahrenheit 11/9. It will premiere at the Toronto International Film Festival and get a wide release on September 21st. The title is a callback to one of Moore’s most famous documentaries, Fahrenheit 9/11, which came out in 2004 and looked at the Bush presidency. This time the 11/9 comes from the day after the 2016 election on November 8th when the reality of this situation sunk in. Veteran film exec Tom Ortenberg, who stepped down as CEO of Open Road Films last November, is launching a new company, Briarcliff Entertainment, and is partnering with Moore to release Fahrenheit 11/9 as a prelaunch project. Distributing the new film together will mark a reteaming for Moore and Ortenberg, since the latter was at Lionsgate when that company released Fahrenheit 9/11, which remains the highest-grossing doc of all time with $222 million in worldwide grosses, as well as one of Moore’s subsequent films, Sicko. The response to this one should be nuanced and calm, by which we mean a bunch of people are about to lose their minds over a movie. It’s going to make the end of September an interesting time to be at the theaters. Here’s the trailer.